Cainiao, the logistics arm of Alibaba Group, is stretching the reach of its “last-mile” package-delivery network by establishing pick-up stations in FamilyMart shops, one of the largest convenience-store chains in China. Starting July 16, Shanghai residents will have the option of taking delivery of goods purchased via Alibaba shopping websites at 300 FamilyMart outlets in the city, according to a Cainiao press release. FamilyMart stores in Hangzhou, Suzhou, Wuxi, Beijing, Guangzhou, Shenzhen and Chengdu are set to join the program; the number of outlets involved in those cities was not disclosed. The partnership with FamilyMart is part of an aggressive effort by Cainiao to shorten delivery times for online purchases by giving consumers the option of collecting packages at designated pick-up stations in their neighborhoods instead of waiting for couriers to drop off orders at their homes. Working with convenience stores, property management companies, offline retailers and colleges, Cainiao has established a network of more than 25,000 pick-up stations in more than 190 Chinese cities. Last month the company announced plans to work with logistics companies Best Express and YTO Express to add an additional 10,000 pick-up spots by the end of this year. TO READ A FACT SHEET ON CAINIAO, CLICK HERE. 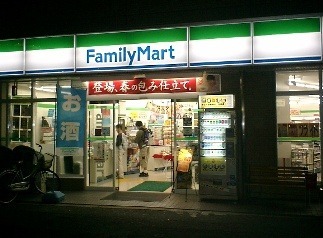 Based in Tokyo, FamilyMart is one of the largest convenience store franchise chains in Asia with more than 16,000 stores. In China, where the company has more than 1,300 stores in nine cities, FamilyMart has been boosting its activities in online-to-offline e-commerce through partnerships with Alibaba’s Tmall.com B2C shopping platform and Alibaba-affiliated e-payment provider Alipay. For the launch of the Shanghai pick-up stations, FamilyMart and Alibaba selected 300 out of 800 FamilyMart outlets in the city based on their proximity to concentrations of online shoppers. Consumers can choose to ship goods ordered from Alibaba platforms—including Tmall.com Taobao Marketplace and Juhuasuan—to FamilyMart stores nearest to them when placing their orders. “Cainiao has been seeking partners to work together to build a last-mile delivery system to meet the needs and demands of consumers,” said Mi Shuai, a Cainiao business development manager. “FamilyMart’s complete network in China and its well-organized management will benefit the collaboration,” Mi said.